James Gould, winner of the club’s U21 handicap singles in 2009, added an even more impressive tournament win to his record when he won the Roo Trophy singles today. James began the day by successfully giving rec 30 owe 15 to Paul Andrews, whose own form has recently improved enormously. James then faced Fiona Hewson, the winner of the repechage event, off rec 30 owe 40. Remarkably, after so many close fought matches through the week, this final resulted in an 8-0 win for the youngster. James’ play was immaculate (borderline flawless, even) as he demonstrated not only his much improved court craft but also impressive focus and concentration. One of the RMTC’s newest members, John Bailey, won the doubles event with Euahna Varigos. Aged 21, and clearly a talented player of other racket sports, John was an obvious target for a pot-hunting doubles specialist. Well drilled by Euahna, John was value for well below his mark of 45 handicap, which he will never see again. A highly motivated Euahna marshalled her young partner and employed a winning strategy that entirely overwhelmed their young opponents Mark Mathias and Daniel Williams, who had won the strongest pool in the round-robin stage of the tournament. 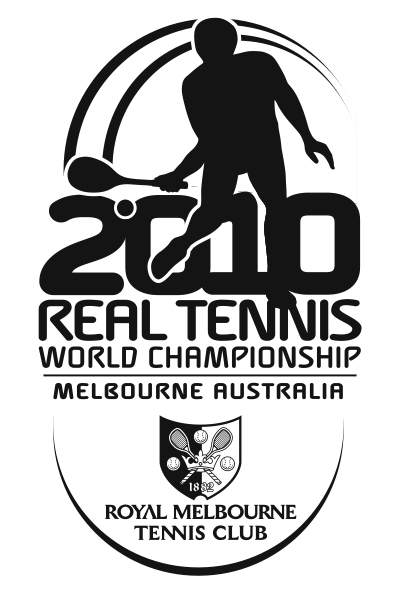 In a repeat of their 2008 Eliminator match, World number 2 and 2008 World Championship Runner-up Camden Riviere will take on World number 5 and former Australian Open winner Ruaraidh Gunn in the ﬁrst of their best of three, best of 5 set 2010 Eliminator matches at the RMTC at 6pm on Tuesday, 9th February 2010. To secure your ticket to what promises to be a classic match, please contact the RMTC. Places are strictly limited, so get in early to avoid disappointment.